Spigen iPhone 6/6S Battery Case for $14.99! 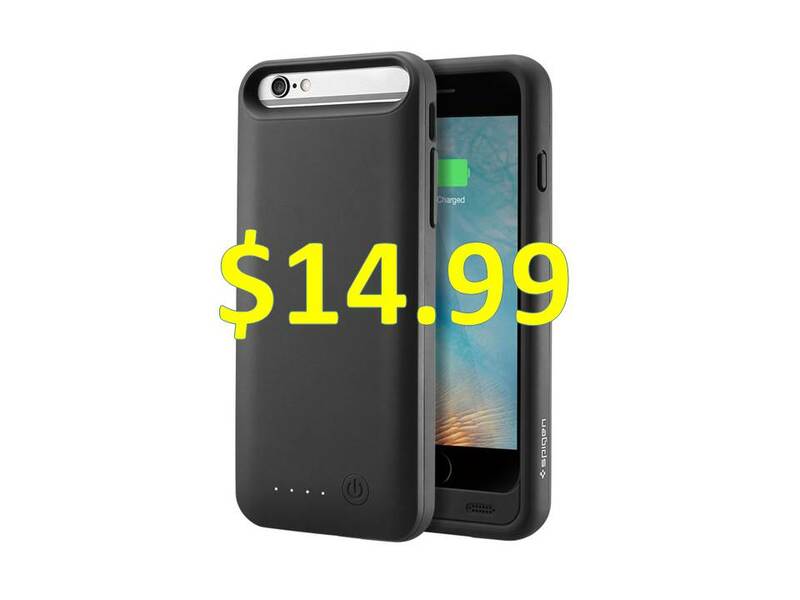 You are at:Home»DEALS»Spigen iPhone 6/6S Battery Case for $14.99! Apple has touted its battery as industry leading, but for those of you heavy iPhone users know that charging mid-day is sometimes necessary – or late night (if you’re hitting the club). Apple has produced their own battery case, but for $99.99, its rather expensive, not to mention weird looking. If you’re looking for a battery case – check out Spigen – for a limited time get their iPhone 6 and iPhone 6S compatible battery case for $14.99 with code 28FAEX3B. Normally priced at $35.99, this is a steal – if you’re looking for a battery case! 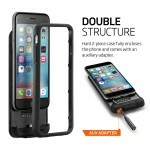 This case is pretty standard in design and comes in two parts that you just snap on. In addition, you’ll get an cable to use your earphones, but to be honest, you can kind of wiggle yours in and not use the adapter. The LED indicator is pretty self-explanatory, comes with 4 lights and provides you with the current level of the battery. The case does have really good reviews 4.5/5.0 stars on Amazon. 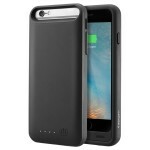 Purchase Spigen iPhone 6 (S) Battery Case! What do you think of this case? 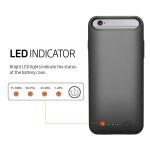 Is $14.99 a good deal on a battery case? I think so – tweet us @AsianGeekSquad.